In the last article I wrote about why content marketing is a thing, how you come up with ideas and what exactly is getting attention. In this post I will go more in-depth from an organizational POV, how to promote content you created and what important KPIs are telling your content is actually having an impact or if you should revise strategy. Important disclaimer: If you feel like you can’t afford the time necessary for the organizational aspects, try to scale it down to a minimum depending on how many people work in your team. An intact content plan might look daunting at first but saves hours of brainstorming and organizational mayhem while also giving writers of blog posts in your team enough space to focus on what they actually have to do. When starting out, the plan will look small and sparse but it’s no less important. A simple plan in excel or Google Docs can work wonders in terms of content creation and organization. Using additional tools like Buffer or Hootsuite to schedule posts in advance will save even more of your time. Your team is small, nevertheless you have to find authors within and outside your team for valuable (I hate that word) content. All the conversation starters and blog posts have to be thought through and ideally discussed in a group to guarantee quality. Guest Authors from other studios in form of a collaboration can help filling empty time frames. Dozens of research tools can be used in your advantage. Buffer recently published a post how they research their posts mentioning tools like feedly, a news aggregator application where you follow subreddits and websites sorting them after what’s gaining most social shares and clicks. Another great tools for content aggregation is Medium. If you haven’t heard of it, it’s basically like a Twitter in blog format where you follow people and see their blog posts on your feed. It has gained a lot of attention over the last year and is attracting a lot of developers and game designers with interesting insights to share. Content doesn’t have to be only in written form. Youtube, Screencasts, Google+ Hangouts, Twitch dev streams, Slideshare presentations or Reddit discussions with valuable insights work as well. Using tools like Canva and GIFS to your advantage is key for getting seen here. I already mentioned this in the first article but I can’t stress it enough. Don’t be that developer that throws out post after post without any sense to it. Being perceived as spammy is one of the worst images you can have nowadays. I worked in a start-up that used to publish 5-6 blog posts a day, written by unpaid interns aggregating 0 traffic and instead of generating a loyal fan base only being perceived as spam. Mediocre content will hurt your cause and potential fans who are looking for exactly your type of game might be turned off because of it. Also Google will know that it’s spammy and won’t rank you as high. If you’re using WordPress on your website I suggest installing YOAST SEO, this handy plugin easily tells you if all SEO criteria are met and gives you green light. Promotion is the most difficult step in this whole process and it’s where most companies fail at. 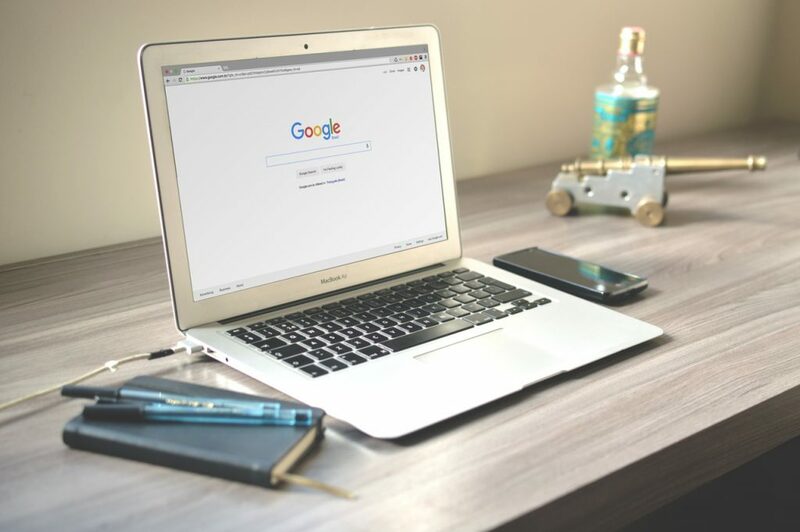 Although you produced quality content, optimized it for Google and proofread it, still no one will come around to your domain to have a look at it. Posting it on social channels also most of the time aggregates low traffic because the internet is a noisy space and cutting through is difficult. To do that you have to promote your content from day one and understand how and why people share. Although this topic goes beyond the scope of the article, I will nevertheless try to give you an idea of how you can promote successfully. Look at what genre fans like about their genre, what makes it special. What were the most influential titles within the genre, what did they do right? Look at competitors to get a better understanding of your wanted fan base. This can be seen as kind of dodgy but in reality its’ part relationship building and part content promotion. Many people use this tool the wrong way and promote content without context or value in a conversation and end up getting banned. Instead look for people having conversation directly related to your genre and engage with them in a dialog. Maybe you get a chance to post a link back to your page, most of the times you don’t and you shouldn’t force it if it doesn’t come across natural. The key here is getting your name out there as someone who’s knowledgeable about your genre. This is more of a long-term approach and nothing that should be done in a week of hastily posting links of steam all over the internet. Moz has an amazing talk about comment marketing. Thanks to this handy tool, you can easily reach a bigger audience. Looking for similar games that maybe aren’t out yet but have a dev-blog going can bring in a decent collaboration. Keep in mind that Social Media is more about relationship building and less about self-promotion, meaning that you should also share content other than yours. Important here is to choose the right channels, in most cases those are Twitter and Facebook, know your audience and what content they like to see about your game. Post at the right times (experiment with Buffer or Hootsuite with a set schedule, post the same content multiple times and look what gets the most attention). Research what hashtags work for you and your genre with tools like Ritetag. This obviously only applies to teams with at least a small marketing budget. Main points here are, know your audience AND your budget. I will cover this topic more thoroughly in the future since I would have to go too much into detail for this blog post but if you want to read more right now here is an amazing Quicksprout article. Have a mailing list people can subscribe to on your website. 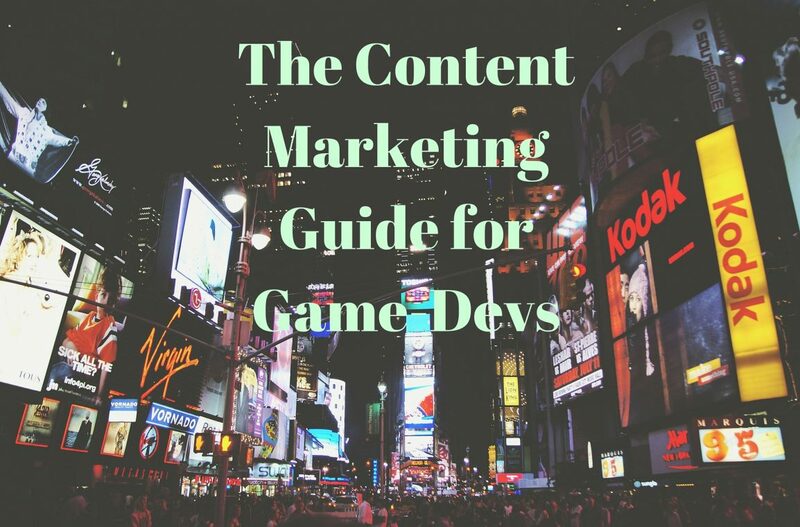 This will not only come in handy later on in your content campaign when reaching out and updating people about the progress of your game but also when creating content like giveaways or twitch stream dates. 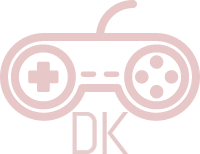 Set monthly newsletter with updates and exclusive insight (people love exclusivity) can be used to get in touch regularly and remind people that your game is still a thing they should have on their radar. How do you analyse what you just posted? Brand Awareness Reach: How many clicks did your piece of content get? New Visits: How many of visitors came in for the first time? Inbound Links: Did other sites link to your page? Engagement Social Shares: How many people actually shared your content? Comments: How involved were people and took time to write a comment? Make sure you have Google Analytics properly installed and be ready to track other KPIs like time on site which shows how engaged people are with your content as well as unique pageviews to see what gets the most attention of your content. Have a social sharing feature in place on your website making it easier for your fans to tell their friends. Look if you can repurpose content with an article that was hugely successful a while back by rehashing it. Surveys; ask your readership if they want to read more about updates of your game? If they want to have giveaways. If they want to have exclusive insights and learnings from your team or if they are happy with your content as it is. Then adapt to the answers. Thanks so much for reading guys, it means the world to me if I can at least help one of you a bit with this article. In case you are interested in more detail about content marketing, this is the article where I drew most of the information out of. Be sure to check out MOZ as they have weekly articles how you can improve your marketing and PR!